The SuperFogeys are so stiff and immobile, it was fun to cut loose a little on a character like the Healer. I made it double-sized because I wanted the figures to breathe a little and see what I could do with a character who is real expressive. There’s some good lines in this one (Dr. 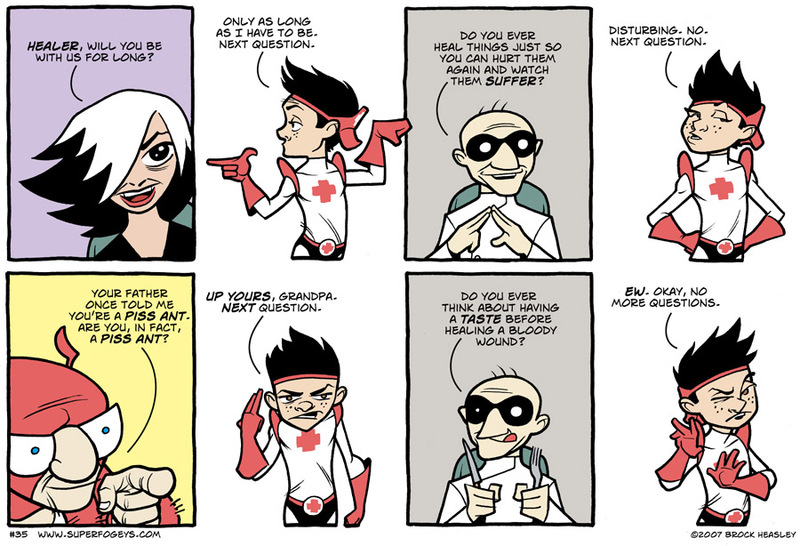 Rocket is just sick, sick, sick), but I wanted the last panel to end on a much funnier note. I never figured out what that note should be, so I left it as is. I think it works just fine now. The jokes don’t always have to land in the last panel.